Creating a style unique to each client is a sacred process. This means that each and every event is not only thoughtfully designed; but also carries a distinct look every time, therefore making every creation transient. There is something beautiful in that because although every party must come to an end, the very tangible experience alone is the one thing you can take away with you, long after the event has passed. The same can be said about turning twenty-one. So appropriately, as a rite of passage and to signal this new transition in his life, Caleb got in touch with us, rallied all his family and friends and before long celebrations were in order to mark this monumental coming of age. To accentuate this, we went for a statement palette in black and amber, opting for black oversized balloons and an eclectic ensemble of black and amber glass jars and bottles as table features. The mood was rustic, with raw textures and rich aromas including Fig scented tea light candles. 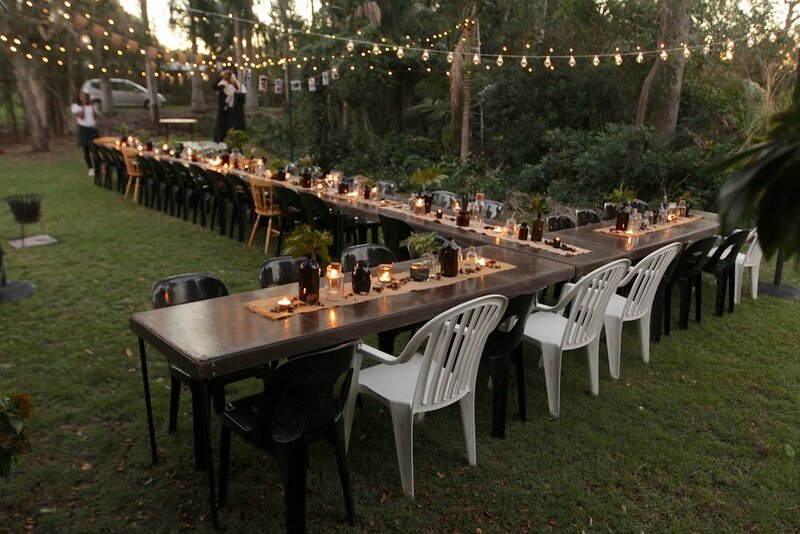 Being the sociable type, a backyard cookout was definitely something Caleb aspired towards and so we delivered. Festoon lights strung overhead, the crackling of wood burning in braziers, a checkered dance floor and DJ to entertain Caleb and his 80+ close friends and family as they partied well into the night. And so, this was the 21st celebration that comes once in a lifetime.